You know those places outside of national parks where they claim there’s a special magnetic force field and they create optical illusions to prove the existence of said force field? 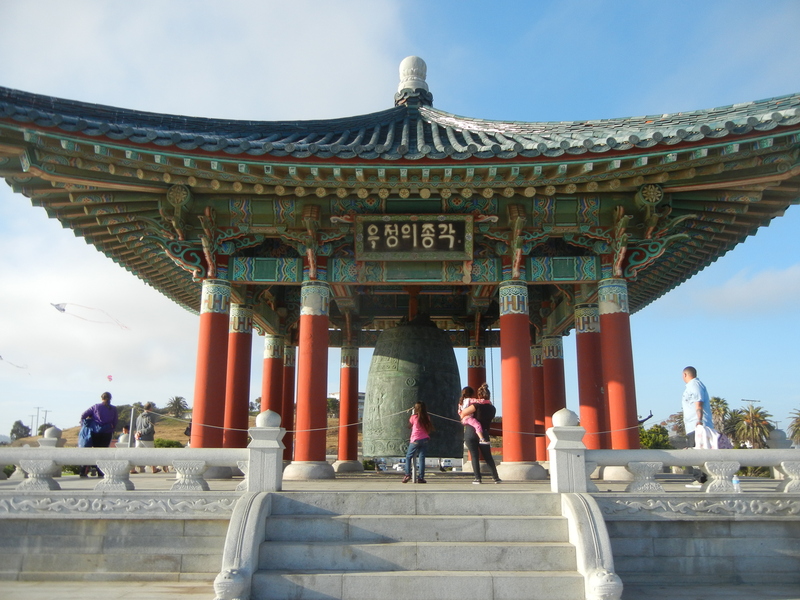 Okay, the Korean Friendship Bell is a force field even though they do not advertise it as such. 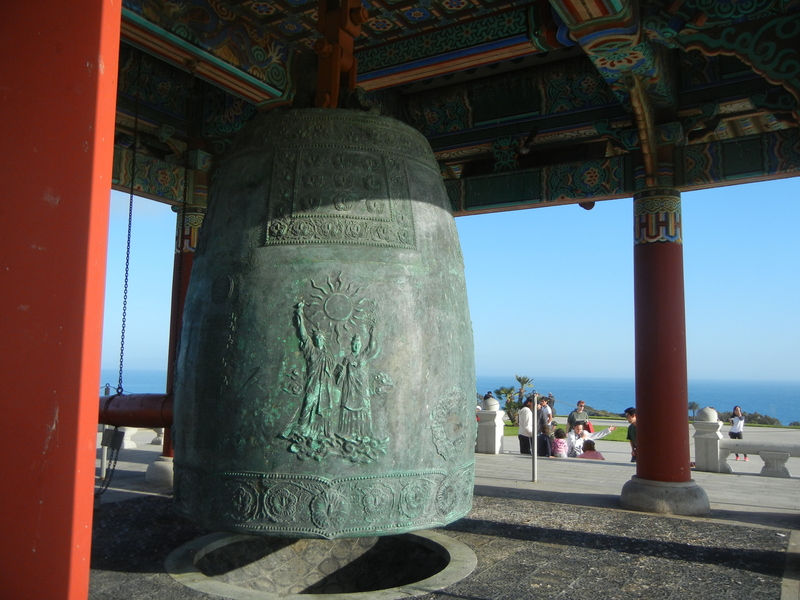 Additionally, I don’t know that the magic seeps from the Friendship Bell itself, I think they chose a magical location for the bell. 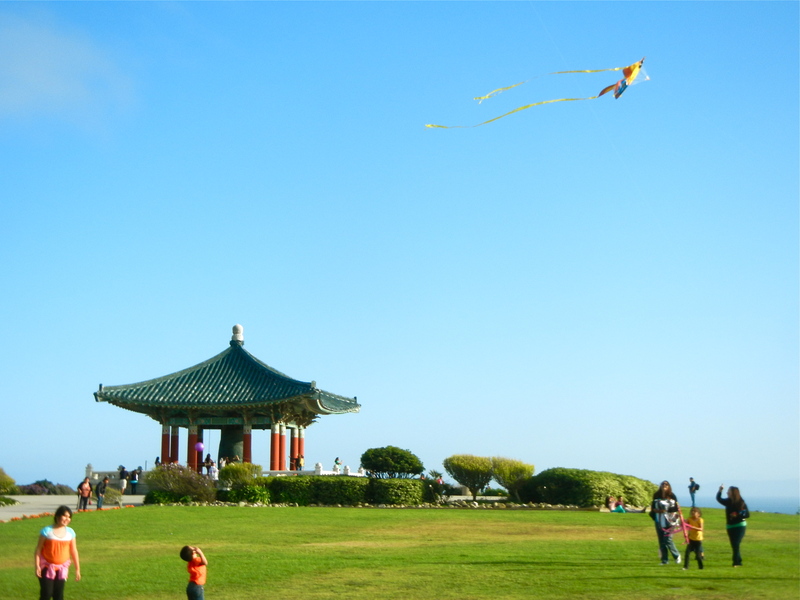 This Angel’s Gate Park plateau overlooks the ocean, the harbor and a splice of Palos Verdes. 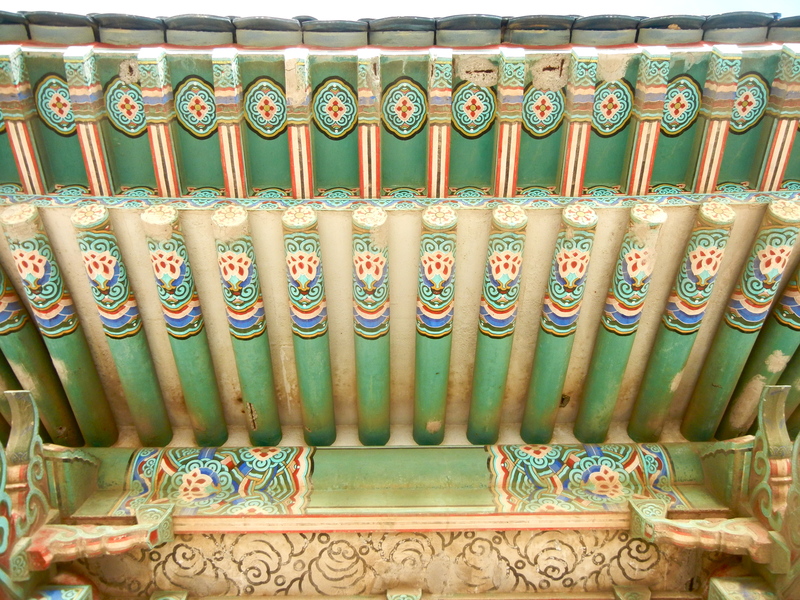 There’s a strangeness to it all, and there’s a celebration of freedom and of gratitude. One might even want to call it a west version of the Statue of Liberty, after all it was given to the United States to celebrate our bicentennial. But while the Statue of Liberty weighs 225 tons, this metal emblem of freedom only weights 17.